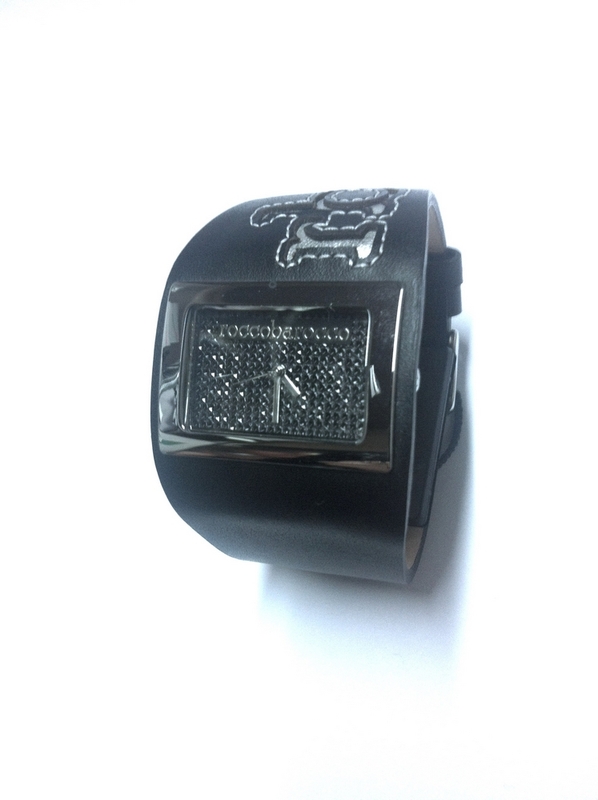 Watch Mrs. ROCCO BAROCCO strap black skin with LOGO CUTOUT and QUILTED leather silver-colored. ANTI-ALLERGIC STAINLESS STEEL CASE. 3 ATM water resistant.